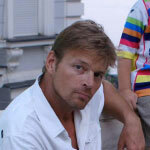 RuckinRugby are a Web Technology Business dedicated to rugby clubs, unions, charities, and players. We help clubs with their online presence so they can concentrate on regular business. We have clients in 9 countries that vary from the Finnish Rugby Union to the UK Women’s Premiership and Dubai Wasps RFC. As well as website builds we also create bespoke solutions like 3D kit designers, online shops, video analysis software, membership systems and more. 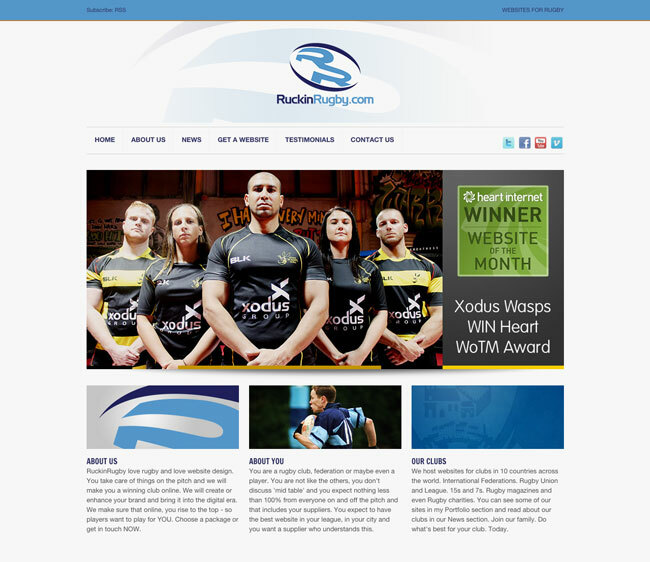 RuckinRugby offers rugby web design services via their corporate site. Started back in 2004, RuckinRugby was a ‘vision’ of mine, I designed a website for my home club in Devon England — Tiverton RFC — and was horrified to see how many clubs had either an awful website or no site at all. 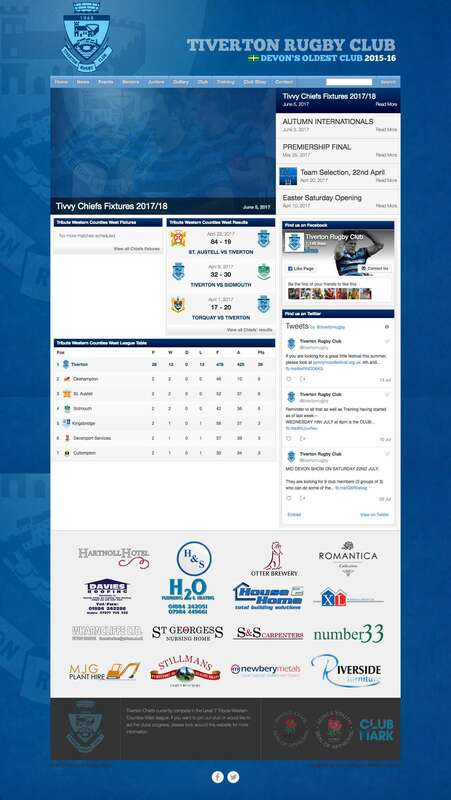 Put off at the idea of designing more sites from scratch I set about building a template that could be used to produce clean, slick and professional looking websites, specifically aimed at sports clubs to include fixtures, results, selections, galleries, news and more. I initially used a bespoke CMS and when the owner retired and took his code with him, I made the permanent shift to WordPress and have never looked back. Shortly after switching to WordPress I discovered the ThemeBoy Football Club theme and was an early adopter. Although I still love the original theme and still use it, I prefer to choose my own theme and keep my portfolio looking fresh and eclectic — adding the SportsPress plugin afterwards. The RFU Women’s Premiership website uses SportsPress Pro. The Football Club theme allows me to offer an entry level alternative to Pitchero, for any club that’s interested in its own branding and serving its own sponsors and partners rather than those of Pitchero. The SportsPress plugin allows me to offer another level, by integrating ThemeBoy’s functions into a bespoke website with its own theme and countless other WordPress functionality like Events Calendars and Ecommerce. The Football Club theme powers Tiverton RFC’s club website. The theme is really easy to use and if you’re used to WordPress, it’s all pretty intuitive. I do all of my business on recommendations and I get those because of my fanatical customer service. So that means any supplier I use has to have the same standards. ThemeBoy does. My name is Max aka The Pig Farmer and I am a Website Designer/Host and Prince2 Practitioner Project Manager based in Devon. I work with an eclectic mix of fellow freelancers, all specialists in their trade and together with you, we can create your brand and take it to market. Since around 2011, all of my websites have been built on WordPress and this has helped streamline my operation.